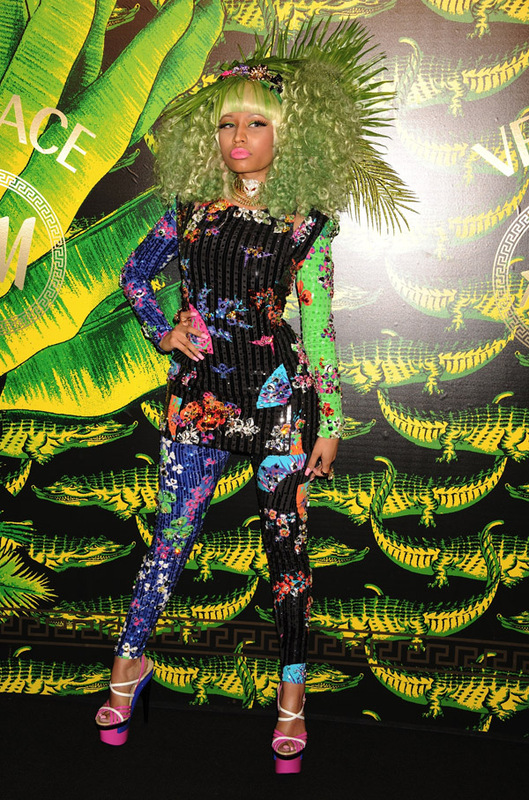 Last night Nicki Minaj attended the Versace for H&M Fashion Show in New York City wearing a colorful outfit mixed with leaves & sparkly jewels. While at the fashion event Minaj posed with Donatella Versace who also looked stunning in a black form fitting dress with gold embellishments. Nicki also performed her ever so popular song "Roman's Revenge" at the high fashion event.